A new Hands on the Land publication highlights how communities of small scale food producers are increasingly confronted by the grabbing of natural resources and systematic violations of human rights. Small-scale food producers and consumers, including peasants, indigenous peoples, hunters and gatherers, family farmers, rural workers, herders and pastoralists, fisherfolk and urban people – the frontline communities – are increasingly confronted by the grabbing of natural resources and systematic violations of human rights. Already pushed to the fringe, frontline communities additionally face the increasingly frequent natural disasters and impacts of climate destruction that are caused by the climate change – and the inability of governments to agree to real solutions. Land, water and ocean grabbing, as well as food and climate injustices are not stand-alone issues but deeply intertwined and find common expression through the current dominant economic approach for the use, extraction, conservation and governance of natural resources. Powerful actors, driven by narrow economic interests rather than long-term sustainability are concentrating the political power to determine how resources are to be used, by whom, and for what purposes. In this process, natural resources are wrested away from their social and ecological dimensions of protecting the millions of people whose way of life, culture and traditions are tied to the access and control over their territories. The Global Convergence of Land and Water Struggles is a response to these injustices by frontline communities from all over the world. During a public event held in Paris in December 2015 at the time of the COP21, representatives of frontline communities discussed and denounced the false solutions to the climate crisis, and promoted the real solutions that are rooted in peoples’ knowledge and experiences. They stressed how converging provides hope, opportunities and solidarity and, importantly, advances the struggle for systemic change. 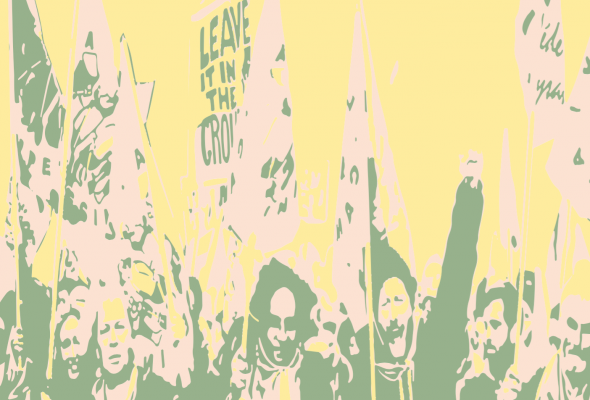 The purpose of this report is to amplify the voices of frontline communities and to share the political messages of the 16 social movement leaders – who spoke at the meeting – with the masses who form the base of social movements all over the world. The report is meant to trigger deepened political consciousness and to support mass based movements in their resistance against the privatisation agendas promoted by the political and economic elites. The report itself is a product of collaboration between many social movements and allied organisations from all over the world. More than twenty groups have contributed to the writing of the report and many more assisted with preparations and the implementation of the public event in Paris. A list of all the groups is provided on the back cover.